Director Christopher B. Landon’s darkly satiric Happy Death Day is essentially a love letter to the slasher movie genre. Landon’s latest film with Blumhouse Productions draws inspiration from many notable genre-defining movies such as Groundhog Day, Scream, and Mean Girls. Happy Death Day follows a stuck-up sorority girl named Theresa “Tree” Gelbman who finds herself trapped in a time loop on her birthday. Unfortunately for Tree, she is also being targeted by a masked killer who will stop at nothing to ensure her demise. Tree is forced to relive her birthday over and over again until she can find a way to stop her killer. The film plays with and subverts many horror movie clichés (think Halloween). 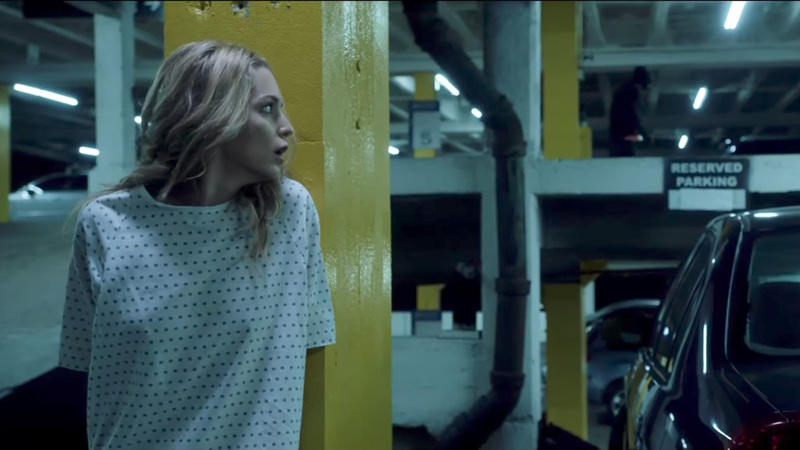 Tree, portrayed by Jessica Rothe, embodies both the final girl archetype and the sexualized blonde female victim who always dies in horror movies. The time loop premise grants Tree the opportunity to learn from her previous mistakes and facilitates her transformation into the pivotal final girl role. Rothe is very much the emotional driving force of the film; once the bratty sorority girl façade is dropped, the audience learns to sympathize with Tree and her strive to be a much kinder person to everyone around her. Drawing on the legacy of iconic horror movie masks, the baby-face mask of Happy Death Day was designed by Tony Gardner, creator of the Ghostface mask in Scream. This balance between the comical and the uncanny illustrates a major strength of the movie. When it doesn’t take itself too seriously, the film actually manages to deliver moments of comedy gold. Happy Death Day contains arguably one of the most entertaining montages in recent memory with Tree attempting to discover the identity of her murderer to the tune of Demi Lovato’s anthemic “Confident.” Despite being derivative at times, the film ultimately finds its strength when it fully accepts the sheer absurdity of its premise. Criticisms towards modern horror films focus on their reliance on the “bus effect,” a sound editing trick introduced in Val Lewton’s 1942 film Cat People. This is when a sudden loud noise occurs and causes the characters and viewers to jump with fright. (Sound familiar?) Happy Death Day, as expected, relies on this for cheap scares to diminishing returns. The film unfortunately fails to break away from this technique instead of relying on more creative ways of scaring the audience. Following critically-acclaimed Blumhouse horror films like Get Out and Split, Happy Death Day is a disappointing letdown when it comes to scares. While the movie itself isn’t necessarily groundbreaking, Happy Death Day is entertaining enough for the casual audience but can be a tad bit derivative for horror movie fans. The film is unlikely to make it during repeat Halloween viewings; audiences looking for a better quality scare should look elsewhere (like the literally clownish IT).